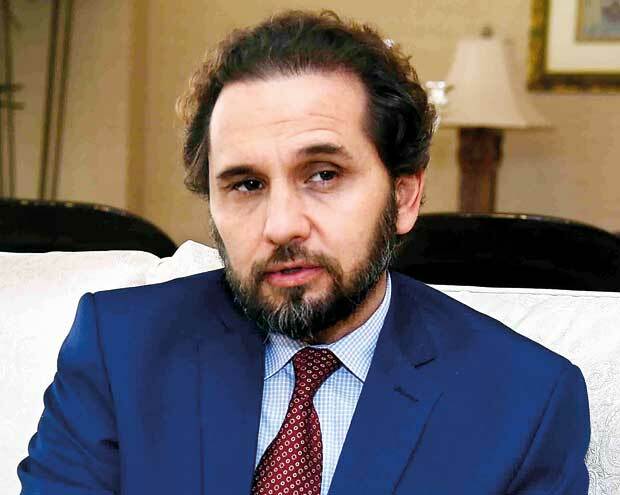 The Special Envoy on Anti-personnel Mine Ban Convention Prince Mired RaadZeid Al-Hussein, spoke to the Daily Mirror about the progress made by Sri Lanka in mine action work. Sri Lanka acceded to the Convention on December 13, 2017. The Convention will enter into force regarding Sri Lanka on June 1, 2018. Sri Lanka will be required to formally report before the Convention on any mined areas under its jurisdiction or control, or any stockpiled anti-personnel mines under its ownership or possession, including those it may have retained or will retain for the purposes of the development of and training in mine detection, mine clearance or mine destruction techniques. Sri Lanka is currently undertaking mine clearance activities and will have to submit an official report on the status of all known mine contamination, and the situation of any landmine victims. How do you analyze the progress made by Sri Lanka as a country in this field? I think Sri Lanka has made remarkable progress. By joining the Ottawa convention, Sri Lanka’s progress will be more exposed and magnified towards the international community. I think that what is great about the situation in Sri Lanka is that it is very manageable. The goals are realistic and can be achieved. It is a unique situation for Sri Lanka. How do you view the progress Sri Lanka has made in terms of the destruction of stockpiled anti-personnel mines? Of course, one of the main obligations now is that Sri Lanka has joined the Convention. The destruction of stockpiled mines is one of the obligations. Any landmines stockpiled in military warehouses need to be destroyed within a certain time frame- four years. The convention will be in force in Sri Lanka on June 1, 2018. The deadline for destruction of stockpiled mines is June 1, 2022. There are, of course, other obligations like clearing of landmines and supporting family members of victims. How competent is Sri Lanka in terms of scientific and technological capabilities for this purpose as per your observations? Let me make a distinction here! The stockpiled landmines are the ones not used, but kept in warehouses. There are landmines on the ground as well. That is a different story. Regarding landmines that have already been laid, I think you have the ability and competence in getting the job done. The Sri Lankan armed forces are very disciplined, well trained, and very knowledgeable as well as the other organizations working on the ground in Sri Lanka. They all have the capacity to do the work. I do not think that is the issue. It will be done within the next few years. "The convention will be in force in Sri Lanka on June 1, 2018. The deadline for destruction of stockpiled mines is June 1, 2022. There are, of course, other obligations..."
How do you compare and contrast the situation in Sri Lanka with other war zones in the world? In relative terms, I would say Sri Lanka is very close to the top. Compared with other mine affected countries, it’s a fixed problem that can be dealt with within a few years’ time. I do not think other countries have that luxury. Other mine affected countries are going to take years to do the clearing. In relative terms Sri Lanka is in a much better situation. According to your observation, what is the secret behind Sri Lanka’s success? According to what I have seen, the approach is serious. Sri Lanka has worked on a national strategy. It is a great step forward. Also, the establishment of a national authority and a national de-mining centre, allowing international operators to come, the assistance to de-mining process and transparency are there. The Government is very much on board. The President, the Prime Minister, the Foreign Affairs Minister and the Minister for Resettlement and Prison Reforms are all supportive of this process. It will bring success in the future for sure. What is your assessment of Sri Lanka’s progress in clearing the mine-affected lands in the north and east? According to what I have seen the progress is quite systematic. Mine field clearances will be done today and tomorrow. After tomorrow, it will be better. It’s a process that takes time. It isn’t an easy thing. Demining can be complicated. You need to do the training and have people in place. What is Sri Lanka supposed to do with the mine –affected people? According to the convention, the mine ban convention is quite unique. There is an Article in the Convention that demands state parties to pay attention to the needs of the family members of the victims of landmines. This is a long term issue. Destruction of stockpiled mines should be done within four years. Clearance of minefields will also happen in a few years’ time. But, the support for victims is a long-term issue. There needs to be a structure in place. There needs to be legislation that will address the rights of people. "They know there are a number of landmines on the ground. But, they don’t have maps. It can be minimized. There are ways and methods to manage the problem. It is possible though it is difficult." How serious is this problem in the globe? It’s a big problem. People are still maimed and killed by landmines, unexploded ordnance and Improvised Explosive Devices. May be the numbers aren’t that high compared to other causes. But, it’s still a cause. It’s a cause that can be dealt with. Traffic accidents will continue until the kingdom comes. We can eliminate this problem if we work on it. Now the military maintains maps on the areas mined by them. But, the terrorist outfits do not do so. With regard to Sri Lanka how challenging is this issue? It’s challenging. When you have the maps, you know the rough locations of minefields. If you don’t have maps, it will be more difficult. There are a number of countries that face this problem. They know there is a threat. They know there are a number of landmines on the ground. But, they don’t have maps. It can be minimized. There are ways and methods to manage the problem. It is possible though it is difficult. "The Sri Lankan armed forces are very disciplined, well trained, and very knowledgeable as well as the other organizations working on the ground in Sri Lanka. " 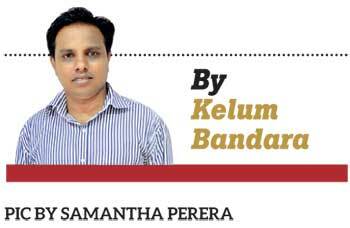 What is your view on Sri Lanka’s focus on the demining issue in the post war context? It’s great that Sri Lanka is giving its attention to this issue and working on it. It would have been nicer had Sri Lanka acceded to the convention earlier. But, it’s better late than never. We are very delighted that Sri Lanka acceded to it. I am sure that Si Lankan military has built up a lot of experience on this issue. This is the benefit of acceding to the mine ban convention. Those involved in Sri Lanka can exchange information with other parts of the world and learn about different technique and expertise. Mine action is quite a broad field of work. What is your message to the Government of Sri Lanka? I wish to congratulate the Government of Sri Lanka for taking this brave decision. It’s a rightful decision. In the years to come, once lands are cleared and people’s lives are safeguarded, they can be used for farming and development.